When it comes to septic tanks and systems, it’s pretty much never a DIY situation. A malfunctioning septic system can contaminate Norwich drinking water supplies and cause flooding, as well as create sewage backup and biohazardous situations. If you need a septic system installed, pumped or repaired, hiring a certified Norwich, VT septic professional is a no-brainer. 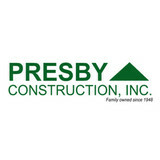 Presby Construction, Inc. family owned and operated since 1948. PCI has earned a reputation for superior customer service and quality workmanship throughout all projects from conception to completion. The team at PCI believes in working closely with the owners to develop a clear understanding of our Client's desires & budgetary needs at the onset of any project. 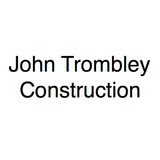 John Trombley Construction provide services for all of your septic tank & system needs. Wilder Excavating is a family owned and operated full service excavating company located in Southern New Hampshire. With over ten years of experience! 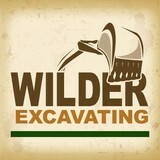 Wilder Excavating is committed to excellence in every aspect of our business. With over 10 years of experience, we uphold a standard of integrity bound by fairness, honesty, and personal responsibility. Our distinction is the quality of service we bring to our customers. Accurate knowledge of our trade combined with ability is what makes us true professionals. Above all, we are watchful of our customers' interests, and make their concerns the basis of our business. Krueger Engineering is a small civil engineering firm in Rutland Country, Vermont. We specialize in septic and water system design for homes and small businesses. We also provide other civil engineering and structural design services.